A new concealer from Benefit cosmetics is launching on the 30th march, so I thought I'd do a little review as I have tried the product over a couple of weeks now. 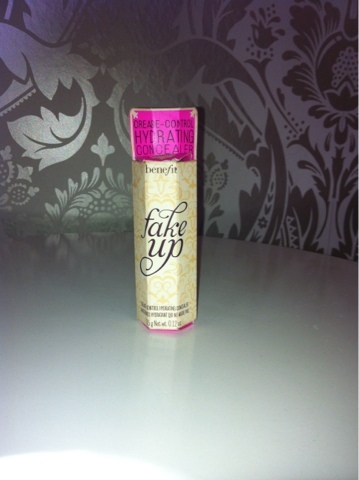 So first of all the packaging- fake up sticks to the iconic packaging of benefit; 60's vintage/ fun. Which I personally quite like as its a breath of fresh air compared to other brands. 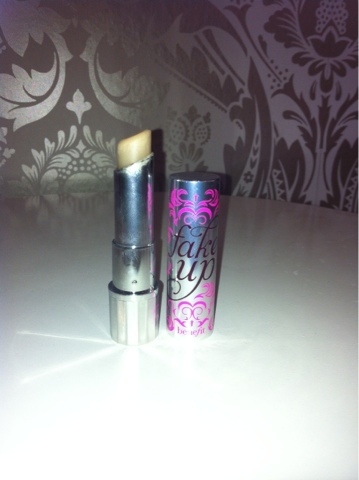 What it does- the concealer is in a stick form with a outer ring of moisture. The concealer is meant to hydrate and moisturise the under eyes and isn't meant to crease. I have got really dark under eye circles, which unfortunately run on my dads side of the family, which means I have to put a fair amount on which can some times look cakey, so I thought this product would be great. When first putting it on it feels great, but gives hardly any coverage which isn't ideal. As the day progressed I noticed my under eyes looked slick with grease and I had black all underneath my eyes from my mascara. This never usually happens to me as I never wear mascara on the bottom, so it must of been coming from the top lashes. 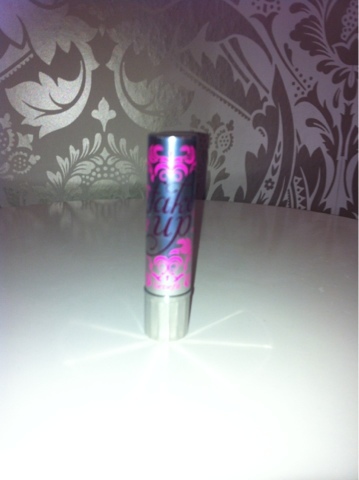 Crease control- very bad I never get creases under my eyes but with this I did. Staying power- again not very impressive in the end I had to resort to putting on my maybelline fit me concealer on over the top! Overall- I am so disappointed, I really wanted to love this product as I am a big fan of benefit, but Fake Up just wasn't doing it for me. I wouldn't go out to repurchase and I don't recon i'll use it again.